Today, I’m going to write about Orient Ray II review, a follow up of some sort to the review of original Ray I made sometime ago (you can read my review of the original Orient Ray HERE). Back then, I was impressed with the beautiful design, day date function and the fact that its a very affordable automatic watch. But the main disadvantage of the original Ray is the outdated movement (non-hacking and non-manual winding), a problem that the original Mako has too. 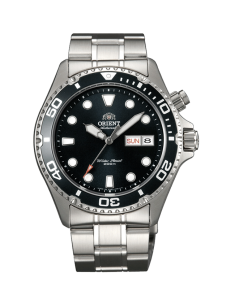 Luckily, Orient was very sensitive to its fans needs and released this new improved version – the Ray II (along with the new Mako II) that comes with updated movement. The use of modern automatic movement in this second generation Ray is very welcomed, and I’m not the only one that is happy about this. Now, let’s get on to the Orient Ray II review shall we. Update: I’ve recently featured the Orient Ray II in my list of the top 10 automatic watches under $200. You guys can check the article HERE. 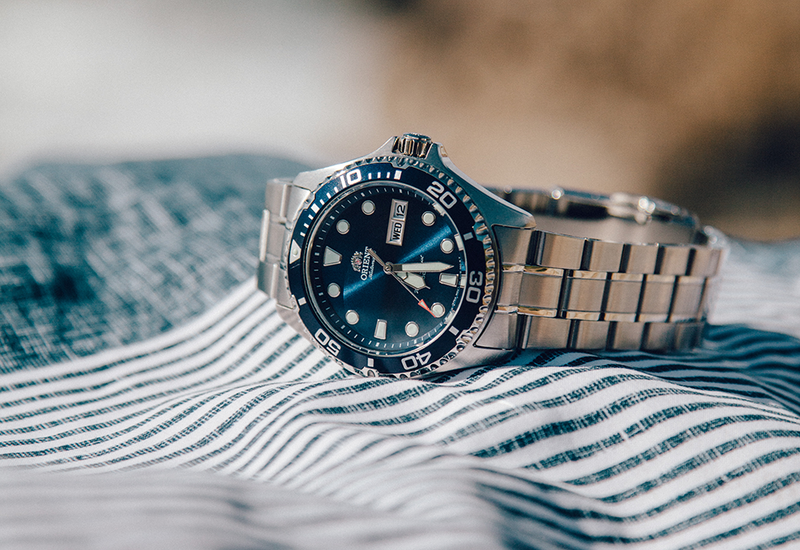 The look of the Ray II is a typical normal diver watch – but executed perfectly. It’s what people will call the modern dive watch with the customary circle index markers and minute markings on unidirectional rotating bezel. Unidirectional rotating means the bezel can only be rotated in counter clockwise direction. This is a standard for all dive watch because the bezel is used to time diving time so the bezel. So a unidirectional bezel is used to avoid divers accidentally rotate it as this could spell trouble. The dial comes in two colors, either black or blue. The black is matte black but the blue on the other hand has this majestic sunburst metallic effect to it. It’s really beautiful to look at seriously. The old Ray has a more darker sunburst blue dial by the way. Apart from the traditional circle markers, this watch also has the customary big bold hands of diver watches. The hands are sword shaped like, with the hour hand having a two-tier design which is a nice little Easter egg in this watch. Both the hands and markers have lume applied on it substantially giving the watch a nice lume performance. The seconds hand is stainless steel with a red painted tip. 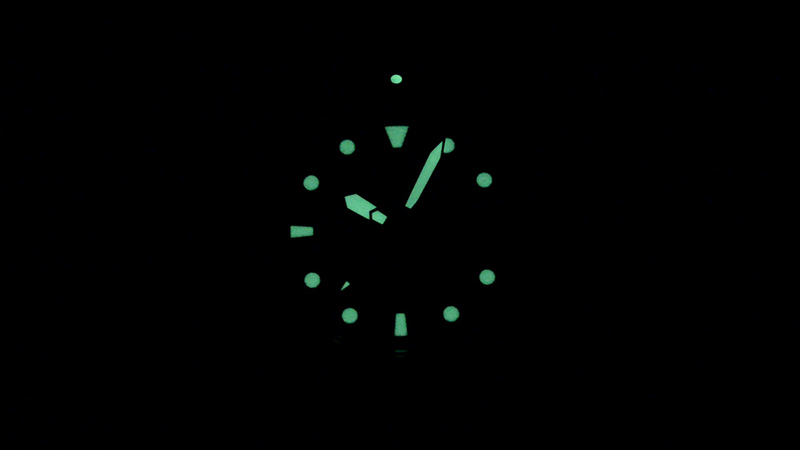 On thing that I love is how Orient went to great lengths to apply a small amount of lume on the tip. This level of detail is very surprising, especially for a watch costing $200. A great thing about this watch is the inclusion of day date function. To have these two features are very beneficial, especially if the owner intends to use it as a daily beater watch for work. It will give a higher level of convenience to the wearer. There is no need to ask around or check our smartphones for what is the date of today. A glance at our wrist is all it needs to know the date. Overall, the dial design of the Ray II is almost the same with the original Ray, just a brighter blue shade of sunburst dial. It has a diver watch look, with all the elements done perfectly. The watch is moderately proportioned and not too busy. The usage of day and date brings the watch to a higher level of functionality. The watch case of this Ray II is almost exactly the same as the original Ray. It has 41.5 mm diameter which is a very nice size for any men’s wrist. It’s not too big or too small in my opinion. As I’ve mentioned in my previous post about 6 things to consider when choosing your wrist watch, a suitable watch for the size of your wrist is a must. Just like a fine tailored suit, a watch with the perfect size to YOUR wrist will look much much better compared to an over-sized watch (no matter how expensive it is). It’s also quite thick at 13 mm. With all of this, the watch is by no means light. This will be good for those that prefer heavier watch. It’s certainly feels more rugged and sporty. The lug width is 22 mm and attached to a stainless steel bracelet. The bracelet is nice, but comes with hollow end links to the lugs. This gives it some rattling noise. But for this price point, the bracelet is quite passable. Orient certainly took pride in their products as they engraves their logo on the bracelet clasp. If you don’t like the bracelet that the Ray II comes with, a Nato strap can also be paired with the watch. With today’s booming online shops, these cheap Nato straps are just a click away. The case also is rated to 200 m water resistance, thanks to the usage of screw down crown and caseback. But there are many complaints of how there are some water ingress into the watch just by swimming in a pool or showering. For me, I’ve swam a watch with only a 100 m water rating without any screw down crown and it’s still ok. I believed those that got water into their watches don’t tighten the screw down crown properly. But still, since this watch is not an ISO rated diver watch, I’d stay away from any deep dives. Leave those to the real diver watch such as the ISO rated Seiko SKX007 and SKX009. Another thing to add is this watch uses mineral crystal. For those of you that don’t know what is that, I suggest you read my article on types of watch crystals (the glass on top of the watch if you may) HERE. Mineral crystal is the cheapest but it’s not the strongest to resist impact, and can be scratched easily. So I would suggest anyone that has this watch to really be careful on what you do. A deep scratch on your watch glass can be very painful – to your heart and also your wallet. Orient has produced 3 different variations for the Ray II: Black dial, Blue dial and Black dial with gray IP coated case and bracelets (also known as Orient Black Ray Raven II). The IP coated version will costs more since it require a special method to coat the stainless steel with gray color. In my opinion, the Ray II Blue is the most distinctive with the glowing sunburst dial, followed by Black Ray Raven and lastly the black dial version. Below are side by side comparison of these 3 watches. Shown above from top: Orient Ray II Black (FAA02004B9), Orient Ray II Blue (FAA02005D9) and Orient Black Ray Raven II (FAA02003B9). A celebrated update from the old Ray is the new Caliber F6922 movement. This movement is updated from the older 46943 movement. The old 46943 movement is a very basic automatic movement without any hacking (stops the second hand/time when setting the time) and manual winding (able to recharge the mainspring by rotating the crown. Read my guideline on how to wind a watch here). The day change also is not built inside the movement, hence the need to have an additional pusher just for the sake of changing the day display. With the new F6922 movement, these flaws are all corrected. Orient has made it hacking and manual winding. They also incorporated the day change into the watch too. The result is a modern automatic watch movement. In doing this, the jewel count in this movement has increased from 21 to 22 jewels. They kept the beats per second the same, at 6 beats per second. The power reserve is also comparable, at 40 hours. On accuracy, the published rate is +- 15 seconds per day though most Ray II owners will report that their watches gives a higher accuracy, some as little as +- 5 seconds per day. But these accuracy are not always come right out of the box. It will normally take some time until the movement can “break in” and become more accurate. Also as I’ve pointed out in my article of accuracy of automatic watches, it will surely help to manual wind our watches to give it a full power reserve once in a while. It will definitely help in increasing its accuracy. So how did the new Ray II compare to its older brother? Let’s find out! Dial: The dial of these two watches are basically similar. The Ray II just take the design without changing it – which make total sense because if it’s ain’t broken, don’t fix it =). A difference is on the bezel where the Ray II has 120-click bezel while the original Ray has only 60-click bezel. Case: The biggest difference is the pusher at 2 o’clock that Ray has. It’s purpose is to change the day display. Ray II got rid of it by incorporating this function into the movement/crown itself. The other aspects of the case is almost the same. But I have to say the pusher actually gives the Ray a more unique look, a different character. Ray II has the more normal diver watch look to it, while the original Ray is distinctive and out of ordinary. Movement: This is the part where the biggest difference is. As I’ve mentioned above, the F6922 movement is used inside the Ray II while Ray has the older 46943 movement. Both movements are in-house made by Orient but the F6922 is more modern with hacking and manual winding features. The result is a better movement technical wise. So which one is better? The original Ray or Ray II? In my opinion, the Ray has a very distinctive look, unlike the Ray II with normal diver watch design. It’s definitely more unique and very different than other countless automatic diver watches out there. But the Ray II has a better technical specification with the new movement. The manual winding is just so beneficial and functional. For this, I would have to go for the Ray II purely on the better and more modern movement. Plus, last time I checked the prices of Ray is higher than the Ray II – most possibly because of reduced production or what not. Like This Orient Ray II? Check Out Orient Watches For Sale At Amazon! If you like this Orient Ray II, you might want to take a look at Amazon. Currently, Amazon lists Orient watches for prices lower than its MSRP. 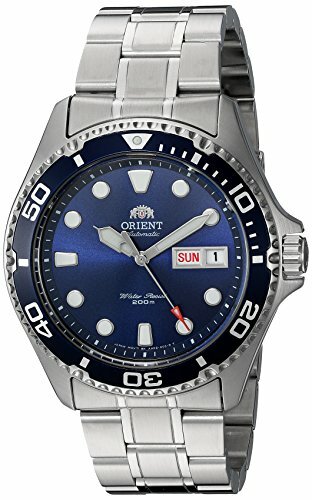 The MSRP for this Orient Ray II is about $335 (source: Orient’s website) while at Amazon you can get it for around $150 to $200. That gives up to 40% discount! Click links below to check out these Orient Ray II deals on Amazon. Are Orient watches any good? Well, I have to say they are. And many people also have the same opinion. The previous Ray version has a lot of character, but its not a really really good automatic watch for me (no hacking, manual winding). It’s still looks good though and is high value for money. 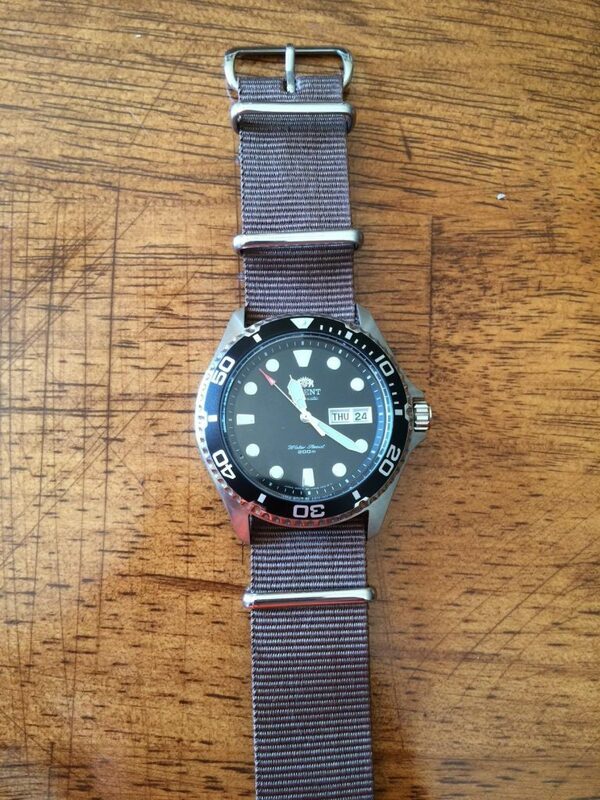 But this new Orient Ray II has improved it much more with the new F6922 movement. With a classic diver watch look, 200 m water resistance and very affordable price for an automatic, this is a great watch that’s hard to pass by. I hope this Orient Ray II review has been very helpful to you guys. If there is any question or comments on the watch, feel free to drop it down below. Till next time. 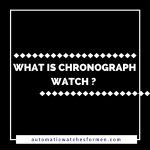 Next Post: What Is Chronograph Watch? Hi. Great review. I’ve bought this watch on the strength of your words! Just wondering could you recommend a similarly priced GMT style watch? Many thanks. Hi Barry. I’m glad that you like the watch. Unfortunately all GMT automatic watches are more expensive than a normal automatic watch and I can’t find any that is in the price range of this Ray II. For Orient brand, you might want to look for Orient Polaris line but it’s still more expensive than the Ray II. The Ray ii beat the Ray i with only the screw down crown where water can’t sip in if properly tight. On the Ray i, over time, the pusher may leak?? Just my opinion. My mistake. Both the crown and pusher are screw down so it is at least water tight. I love watches and have collected them in the past. So, I loved your review of the Mako II. I am not that familiar with these watches, but really like the look of them. I read your review of the original Ray I and was suprised the price. It looks like a much more expensive watch. The Ray II, I’m guessing, is designed to be a less expensive alternative to more expensive dive watches. I think it’s a good approach. Since I’m not a diver, I wouldn’t hesitate for a minute to buy a Ray II. I especially like the matte black version, Orient Black Ray Raven II. I think that’s awesome looking. Even though I have owned lots of watches, I learned some things about watches from the article. I like that there is the assumption that not everyone knows what every term means and that not everyone understands the watch lingo. Thanks for the mini-education. I like the thorough and detailed comparison of each watch, highlighting the differences. I do like a watch that has a manual wind feature. As you point out, a watch occassionally needs to be wound manually. I like that you chose the more technically advanced watch,….that is also better priced. Thanks a lot for your review about Orient Ray II. I have personally been looking for such quality, with many functions watch like this. I really appreciate the hard work you put into reviewing this watch. I also like the date functionality that comes along with this Orient Ray II watch as you mentioned. I think this the great watch I’ve been looking for. But I’ve got some question to ask, Apart from amazon is there any where I can purchase this Orient Ray II watch? Hi Stephen. Other from Amazon, you can also check out Ebay. But between them, I prefer Amazon since Ebay’s layout gives a lot of pages of the same watch but from different sellers. It makes comparing prices harder in my opinion. Apart from these 2, there are also other online watch stores that you can look out such as jomashop.com or longislandwatches.com. These are 2 of the more popular stores currently. Time is really important to me so i don’t joke with my watch. i really like watches and to be frank i do have brand but i still choose the best. 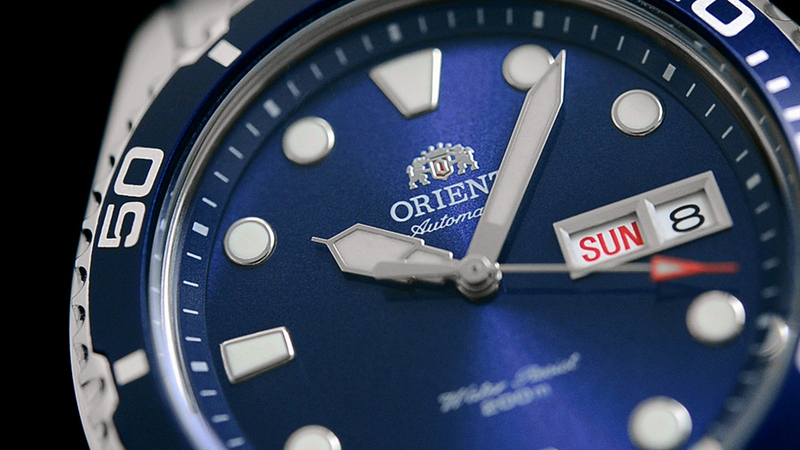 ORIENT RAY, is another powerful watch. i like their design, is very simple and masculine. i think i will blue ray ii, very simple and classic. 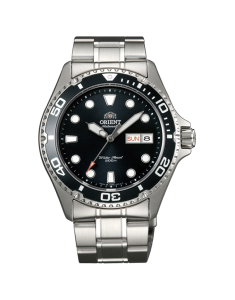 I have to say you put up an excellent review on quite popular Orient Ray II watch. Believe it or not but Orient was my first watch when I was a teenager 🙂 I was a proud owner of this man’s item. These days we have so many different options for nice watches that it is very easy to get overwhelmed. Thanks for visiting by buddy. Cheers! Hi Kam. I’m glad that you like my reviews. Thanks for visiting! I’ve been looking for a watch for my husband for his birthday and as I don’t know what to look for in a watch your very informative review about the Orient Ray II has helped me to make up my mind. hey you’ve got what i want, very powerful watches. am really a fan of watch. Although because of mobile phone people do not patronize watch but some of us we still know our brand. i like the orient II, the inner blue makes it feel more masculine the time indicator is big enough to see what says the time. Hi i really like the way you explain the functions and details of this Orient ray II in this website. The watch is definitely beautiful and it’s something that makes me want to to buy the item asap. I really appreciate the details and will definitely consider them. Thanks Isaac! Hi Abraham. I’m happy that you love this Orient ray II. I hope you’ll enjoy this watch. Let me know if you have any questions about it. Wow, excellent review… just what I was looking for. My dad’s birthday is coming up an he would love this watch.. Love how you can change out the strap and also have choice of the same watch but different colors and styles. I personally LOVE the look of the black dial with gray IP coating. Looks great! 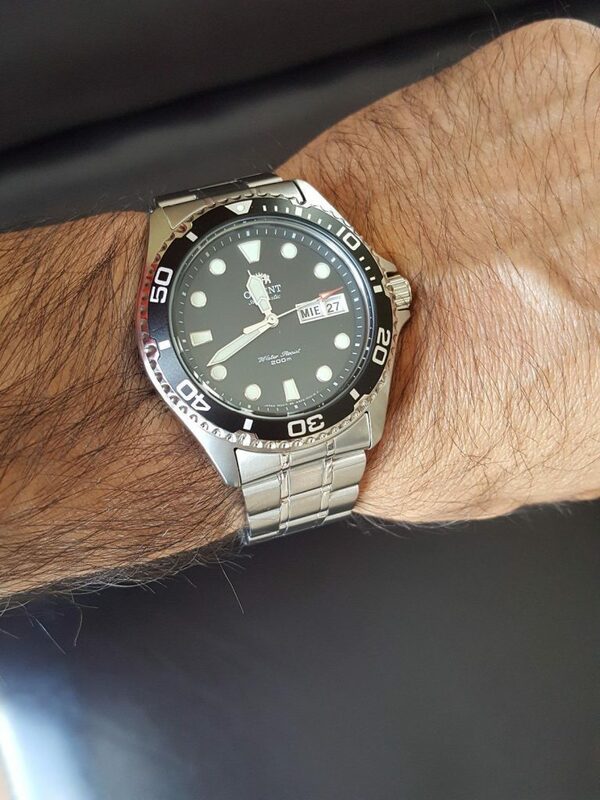 I’m glad I could find your website and read your review on Orient Ray II Diver Watch. I remember my mom used to have good taste to choose watches and she always told me a good watch is always a good present to give. Every Christmas I have in my mind to find a good watch to buy for my husband present. After I read your review I find this would be a nice present to give for my husband or for my children. 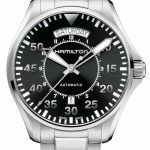 I will take a look to more of your post on your website as I’m interested to read more about automatic watches for men. And in case you still have your doubt, ready my articles (Click Here) about how a watch is a great gift for someone. Also read this (Click Here) for the top 7 benefits of wearing a watch.